Discussion in 'Femmes' started by youarebeautiful, Nov 14, 2009. She's impressive, breathtaking... Great find! brilliant find! 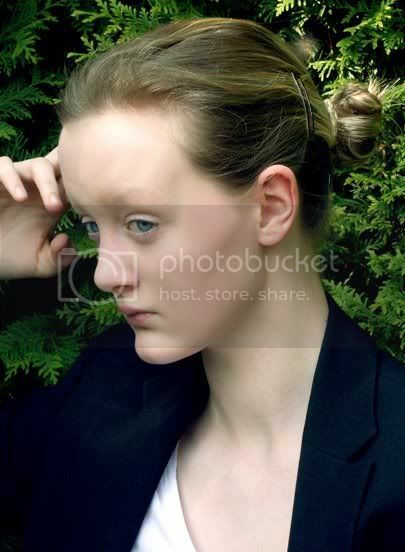 She reminds me of this one girl from an older Jil Sander campaign, i think her name was .... Johanna Stickland or so. Brilliant bone structure! I asked around and it seems she's really German, great! wow this is amazing! I can even say once again, she reminds me so much of Johanna Stickland. very interesting face; the mouth, the forehead and her almost invisible eyebrows... she seems fragile, almost. She's been featured on supermodels.nl, today! In our 'In the Picture' series we will introduce a starting model every week, which we think has the potential to become a real supermodel. Well, she's no supermodel yet, she's brand new in the modelling industry, but we at supermodels.nl see a bright future for Nele. She doesn't have the typical look, like hundreds of other girls. She's more edgy and mysterious and this makes her look so promising. Many major agencies all over the world are interested in Nele right now, so big things are bound to happen. She was born and risen in Bremen a small city near Hamburg, Germany. She's 18 years old, has a silhouette of a simply great 180 cm. and measurements of 80-58-86. 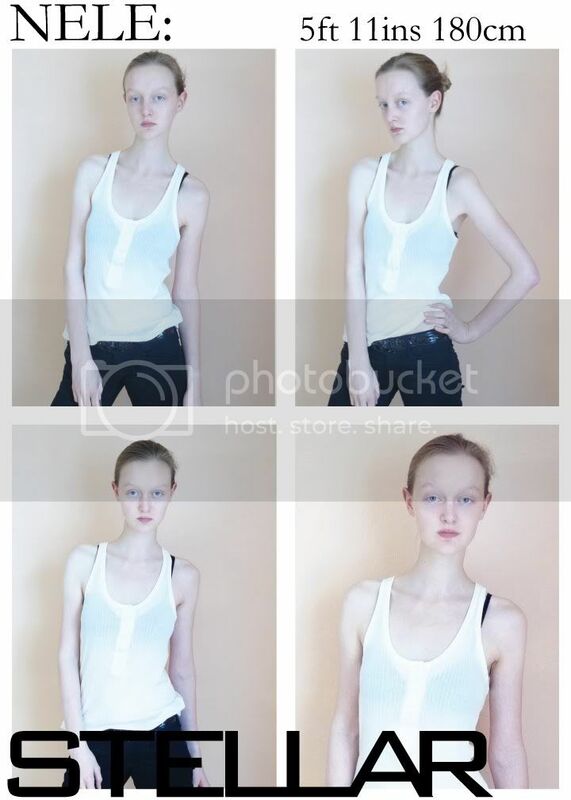 Nele was discovered by Specimen Model Management in the USA. What else do I have to say about the blue-eyed beauty? how kind of you. I guess every model will be pleased with reading such weird comments on her. I didn't mean my comment to sound insulting. I actually think that white pigeons are very beautiful animals and in my opinion, she kinda looks like one. Found a little preview from a test Hope to see the rest soon!